To successfully develop and launch an asset it’s crucial to identify and define the commercial value early in the process. 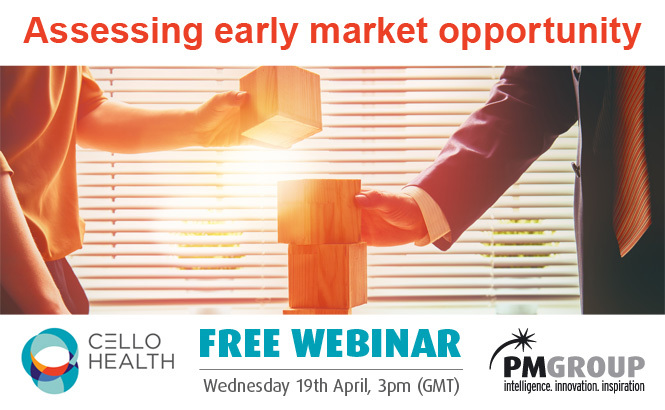 On the 19th April Cello Health, in association with PMGroup, will host a free webinar which will discuss the background and context of early asset development and how to achieve a successful market assessment strategy. It will look at how marketers can understand the competitive market landscape as early as possible.